Kelly Corcoran leads the MET Singers in a rehearsal for the upcoming concert "Upon These Shoulders"
On a cold January afternoon, voices ring out from the choir, speaking text that echoes throughout the sanctuary of Fisk Memorial Chapel. These are words from Jonathan Bailey Holland’s brand new work I Too Sing, a commission from Nashville’s contemporary ensemble Intersection and its artistic director Kelly Corcoran, who is presiding over a rehearsal of the piece with the MET Singers. 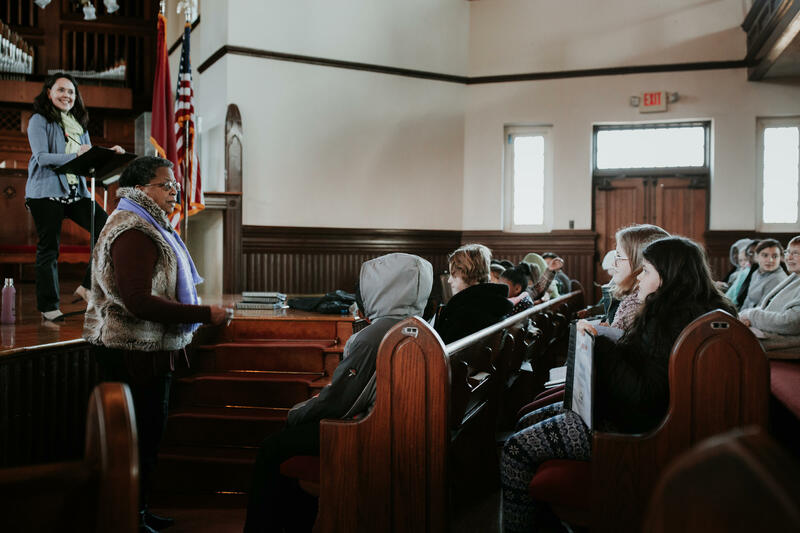 The youth choir, founded by Margaret Campbelle-Holman, will join Intersection for the world premiere of Holland’s piece this Thursday as part of a program titled Upon These Shoulders, a celebration of Dr. Martin Luther King, Jr. and the many heroes of the Civil Rights Movement. Both Campbelle-Holman and Corcoran, who spoke with us in the church pews after rehearsal, sing Holland’s praises. “This young man is amazing,” Campbelle-Holman gushes, describing how Holland came to Nashville to explore the Downtown Library’s Civil Rights Room, and the inspiration he got from visiting the young singers who will perform the work. 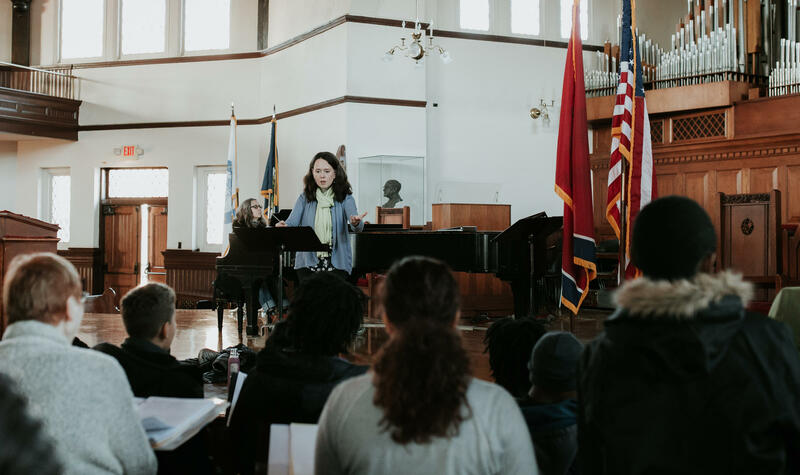 Kelly Corcoran and Margaret Campbelle-Holman work with the MET Singers during a rehearsal for Jonathan Bailey Holland's new work "I Too Sing." For Corcoran, “hope” is also a word that comes to mind, and she points out the curiosity and spirit of inquiry that are especially powerful when voiced by young people. For both women, the music in Upon These Shoulders is about sharing stories across generations and building community. Many of the stories are not easy to tell. Joel Thompson’s Seven Last Words of the Unarmed will receive its Nashville premiere during the concert, performed by singers from Fisk, Lipscomb and Tennessee State University. In each of the work’s movements, Thompson focuses on the last words of seven unarmed black men before they were killed. And while Seven Last Words is undeniably rooted the events of right now, Campbelle-Holman recognizes the historic weight of the piece. She mentions the slave trade and lynchings. “Those men were unarmed, too,” she says. The collaborators of Upon These Shoulders have thoughtfully curated a program that works to illustrate the history and geography of the black experience, and of the continued struggle for civil rights. A sensory engaging tour of art in Fisk’s Carl Van Vechten Gallery begins the evening, where audiences will experience music, poetry and movement to accompany images from The Great Migration, Harlem Renaissance and more. Music continues in the Fisk Memorial chapel and includes a traditional piece from Liberia, selections from jazz composer Hannibal Lokumbe's work about Civil Rights activist Fannie Lou Hamer, and the world premiere of Dr. Cedric Dent’s arrangement of the spiritual “My Lord What A Morning.” The night concludes with Thompson’s Seven Last Words and Holland’s I Too Sing. 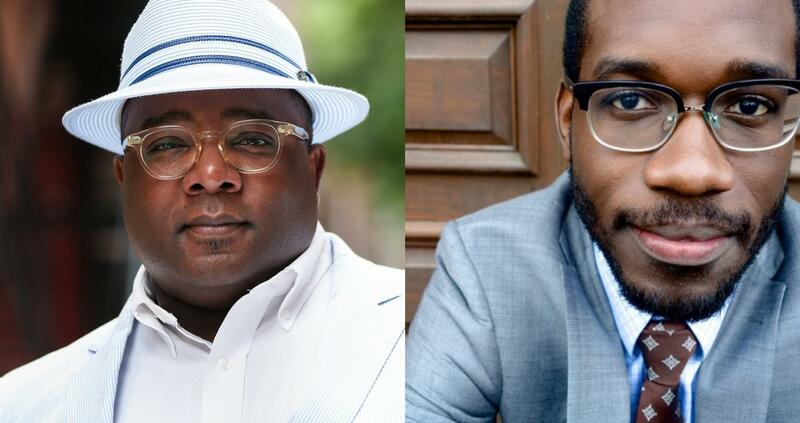 A pre-concert panel titled "Hope Unborn: The Intersection of Race, Arts and Democracy" will be hosted by Intersection on January 10th at NECAT studio, featuring composers Thompson and Holland. Nashville's ALIAS Chamber Ensemble today announced that cofounder and longtime Artistic Director Zeneba Bowers is retiring from her role at the organization's helm. 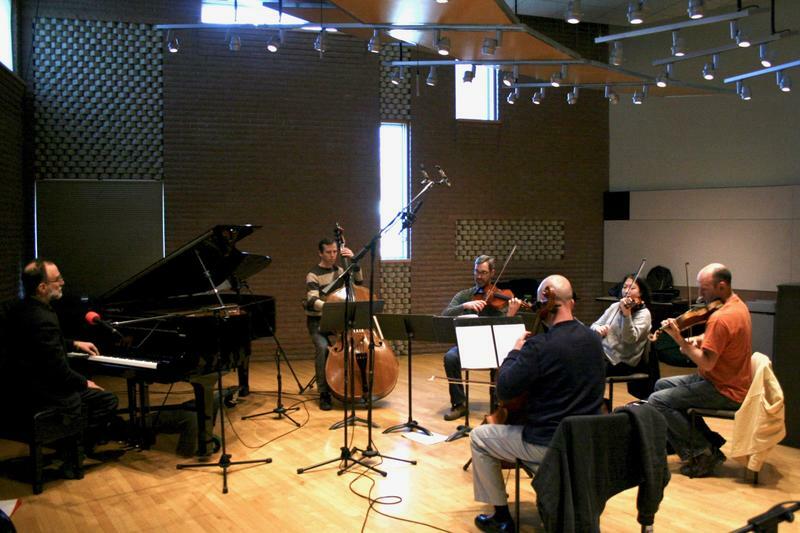 The violinist will continue to perform with ALIAS and will be given the title Artistic Director Emeritus. When the Nashville Philharmonic Orchestra performs this Tuesday night, it will be for their biggest audience of the year. For the past six years, the orchestra has held annual concerts at Casa de Dios, a Hispanic church in East Nashville with over 2000 congregants. These days, Carlos Enrique makes Nashville his base of operations, but the music of the guitarist and composer is infused with the sound of his first home: Puerto Rico. Enrique is a native of San Juan and a graduate of the Conservatory of Music in Puerto Rico. 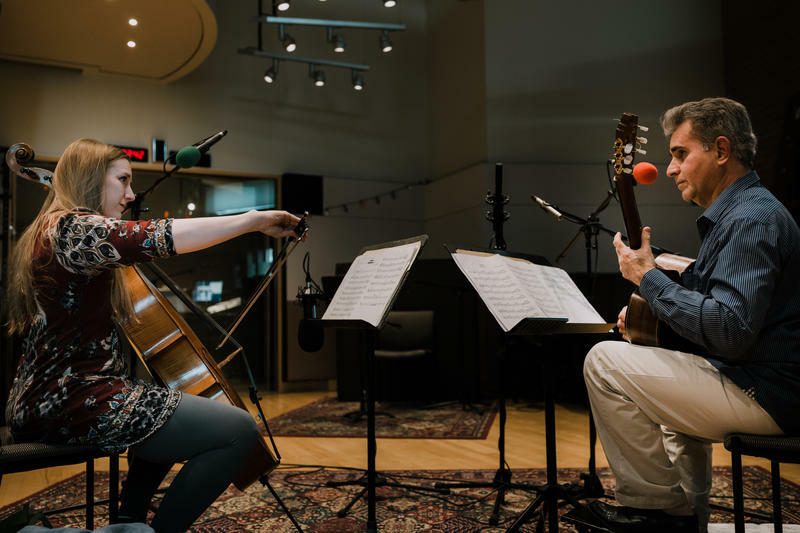 For his performance in Studio C, Enrique brought a mix of his own compositions and other works from Latin and French traditions, accompanied on cello by Dierdre Emerson.